Initial Design Stages – Don’t Be Daunted By Architect Plans! When you are about to undertake the task of designing a space that will literally enhance your family life, it’s incredibly important to get it right. The good news for the consumer, is that there is a lot of choice to be had, and the initial leg work to find the right furniture designer will pay dividends in the long run. 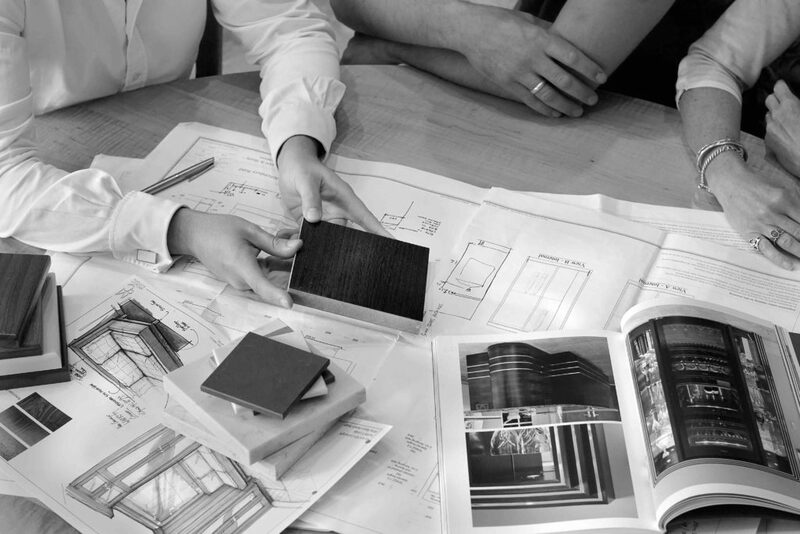 Here at McCarron & Co we are perhaps more fortunate than most, in that we are able to offer a truly bespoke product. Not being governed by set sized items of furniture is such a blessing, as the design work can be very much tailored to the client’s needs, rather than having to compromise. There are so many considerations to take into account when designing a new space, and a common situation a designer regular finds themselves in, is to sit down with a client and be presented with a glorious set of architects’ plans detailing a wonderful open space. It’s generally the case that there are a number of ways around designing the space, and this is where a key part of the process will kick in – information gathering. Whether the client realises it or not, they will likely already know what they want from the space and a series of relevant questions from the designer will help start building a picture. It’s also sometimes easier for a client to tell you what they don’t like and want, and generally this can be as a result of past experience, with something such a design feature in the past that just didn’t work for them. I think that’s one of the other key things – this won’t be a first kitchen for the client, they have normally been part of the process before, so they can speak from experience. I always find the next stage incredibly fun and really helps to engage the client. Basically, sketch over full size plans of the space – nothing over complicated or deadly to scale, just concepts, quick finger sketches. There are many ways of skinning a cat and this will help the client to see the options. They should be encouraged to get involved with the pencil too – after all it isn’t a drawing competition and this is only the theory stage! 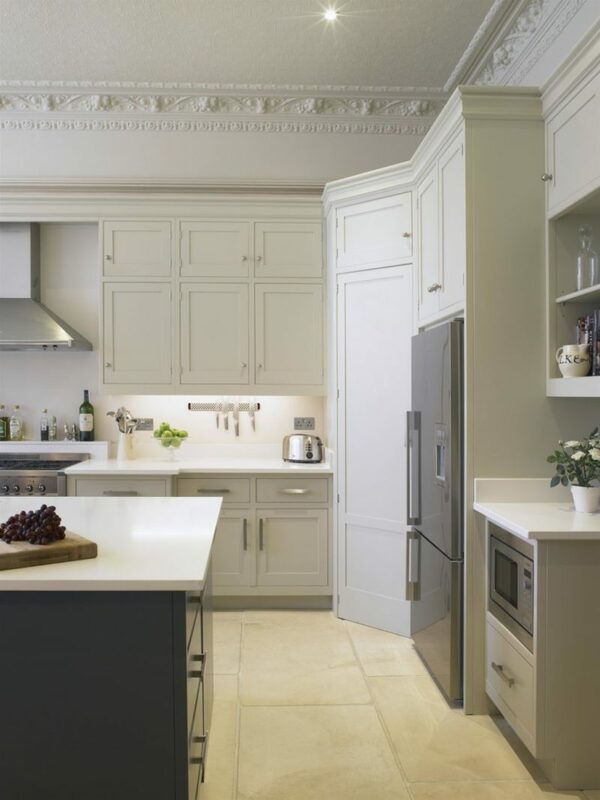 Without wanting to tread on the architects’ toes, there is also the opportunity to suggest any non-structural alterations, which could range from reversing the hinging of a particular door to altering the line of a stud wall to create a walk-in larder. Nowadays, clients are asking for the spaces to perform a variety of functions – cooking, dining, living, working, and whereas this isn’t exactly a new concept, people seem to be putting considerably more thought into the planning. Generally, these areas can be broken down into different zones, and again, it’s far less daunting to roughly sketch initial ideas over the plans. So much will depend on what’s important to the client and how they see their family using the spaces. When larger spaces are afforded, it can be much easier to make the space safer for family life. For example, not putting the cooking spaces on a main traffic route through the zones is a big consideration. If a client is considering an island, which is generally more than likely, generous walk through spaces between worktops are imperative, and it may be that they can be increased to around about 1200 mm to really give a sense of space and the feeling that people can co-work in the kitchen, without ever really getting in each other way. Again, this is where the humble pencil really come into its own! Similar to a fashion show, the more wacky, left-field island designs may never make it off the cat walk, but they are fun to sketch and it may well be that elements make it in to the final layout! Gut feeling is a fantastic thing and it’s amazing how many of the final designs do in some way resemble those sketches from the very initial client meetings. The key things to remember are to be open, honest and realistic about the budgets and how much is going to be invested into the project – really think hard about the wish list and how you want the family to really use the space. Most importantly, have fun! So, don’t rush things, and allow yourself enough time to meet with a like-minded designer and set about to design your dream spaces. 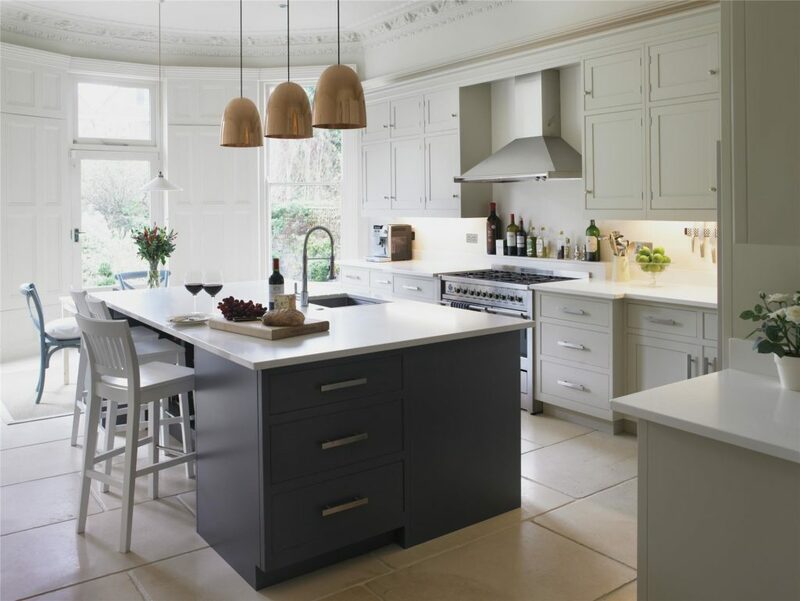 For further help when it comes to looking at your kitchen project, why not arrange a furniture design consultation with myself, Andy Barette, at our Chelsea showroom. To book an appointment, email me at ab@mccarronandco.com.